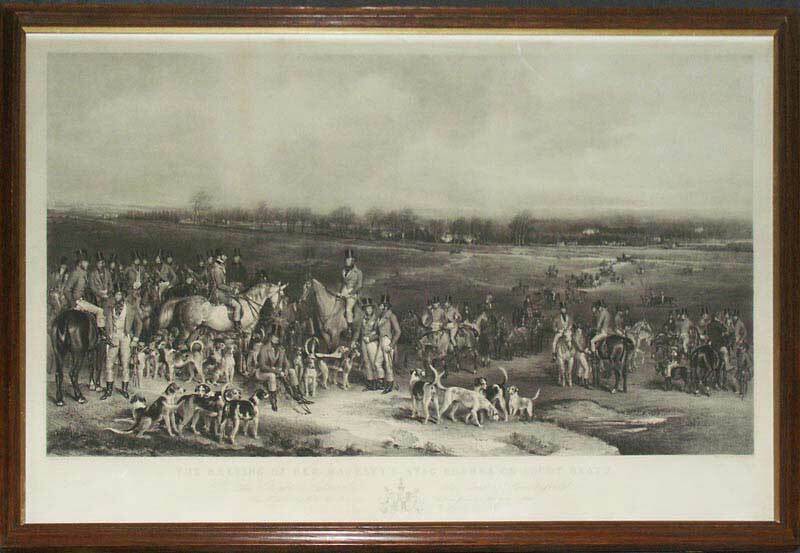 This historic image shows the meet of the royal stag hounds before them embark on a hunt across Ascot Heath. It is dedicated to the Earl of Chesterfield, Master of the Hunt. Frederick Bromley was an engraver specialising in the art of mezzotint who lived and worked in London and reproduced images of an historical and sentimental subject after his contemporaries.